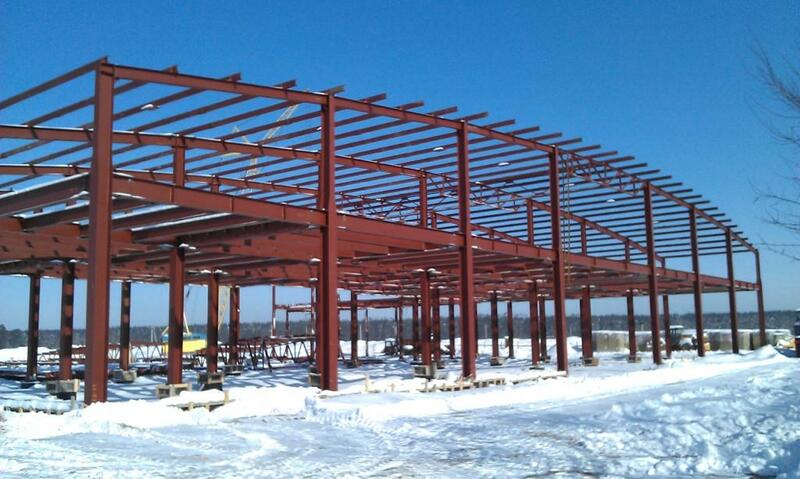 Weight of steel structures: 256,6 tons. In this project, our company acted as a general designer. 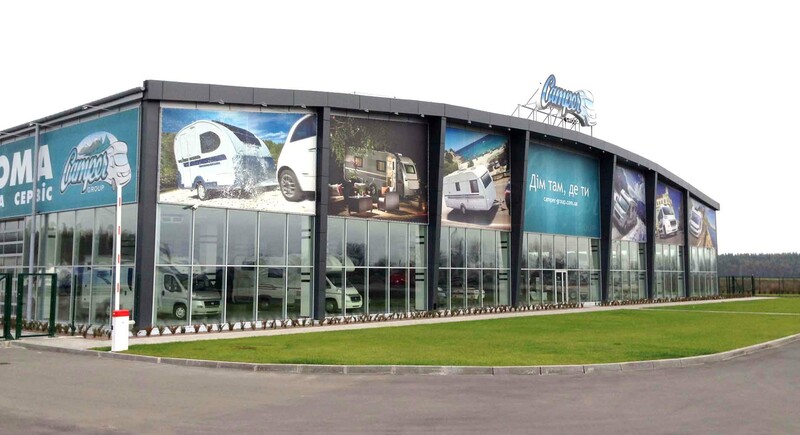 The project of the showroom for sale of autohouses is the first such in Ukraine! 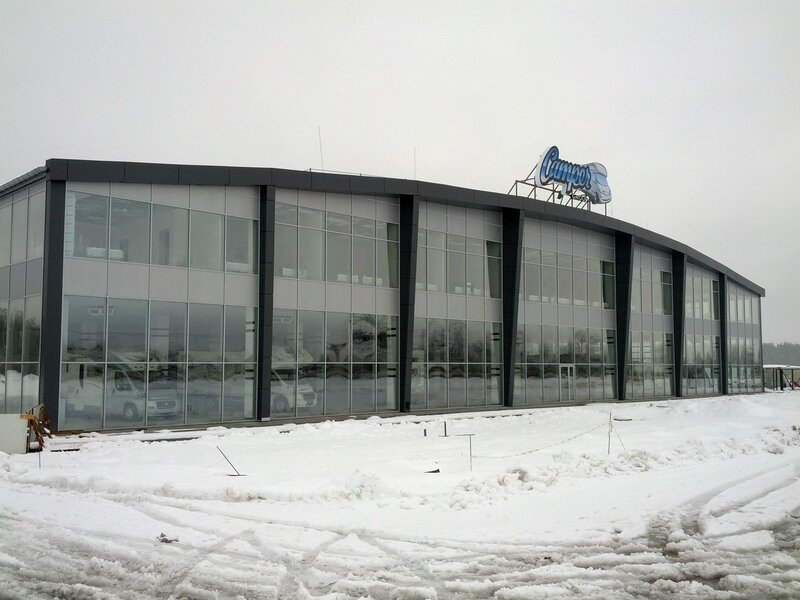 The showroom building includes structures: an exhibition hall, warehouse and office premises.